One lane will run in each direction between 120th Avenue and the Northwest Parkway/E-470, alongside general-purpose lanes, and connect with the I-25 North: US 36 to 120th Avenue Express Lanes. There are three entry/exit points, but drivers pay the toll price only once. Overhead signs indicate current toll prices. Tolls are collected through ExpressToll account or License Plate Toll. 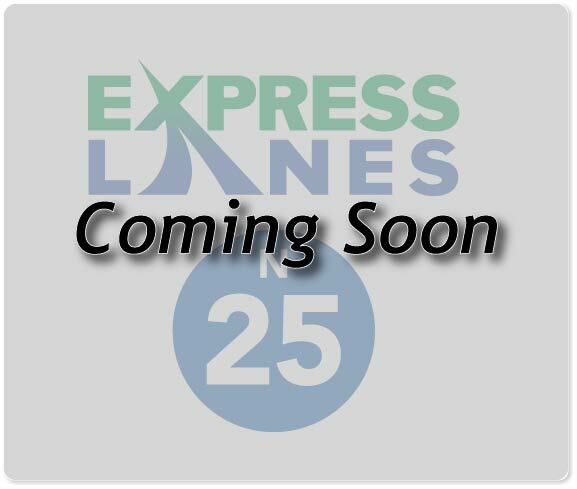 Drivers can enter this section of the Express Lane in different locations between 120th and the Northwest Parkway/E-470, but pay only the toll price once to use I-25 North: US 36 to 120th Avenue Express Lanes.